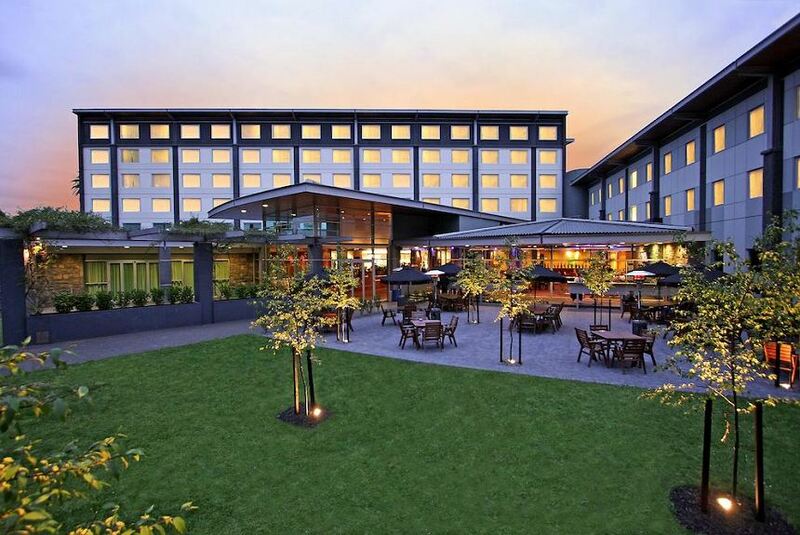 Offering easy access to the motorway, Novotel Auckland Ellerslie offers 4.5-star accommodation and conference facilities. The newly refurbished rooms blend sophistication with style, offering state-of-the-art technology and superior comfort. The hotel is close to a range of shopping, cultural and entertainment areas including Sylvia Park, ASB Showgrounds and Ellerslie Event Centre. Novotel Auckland Ellerslie is just a 15-minute drive from central Auckland, 2.2 km from Alexandra Park and 3.9 km from the Auckland Domain. It is 2.6 km from One Tree Hill Domain and the Stardome Observatory. Auckland airport is 20 minutes' drive away. Guests will enjoy outstanding facilities such as the award-winning Acacia Restaurant & Garden Bar, a gym and an Apple-iMac corner with complimentary internet access.